According to new reports, Glee star Cory Monteith led a “double life”. Cory Monteith, who was found dead in his hotel room on Saturday at the age of 31, was allegedly a hard-worker when in Los Angeles, and a substance-abuser whenever he would return to his native Canada, according to TMZ. Cory Monteith, who checked into rehab in March, managed to stay clean while on the Glee set, but his resolve to stay sober weakened whenever he visited Vancouver, a source told the website. According to sources, Cory Monteith’s girlfriend and Glee costar Lea Michele, along with the rest of the hit television show’s cast, were aware of his addiction problems and worked hard to keep him clean and sober. Cory Monteith allegedly never showed up for work under the influence of drugs or alcohol and abstained from these substances “most of the time”. But his life in Canada painted a different picture. Cory Monteith allegedly returned to his hometown of Vancouver often, and surrounded himself with friends who fueled his addiction. Drugs and alcohol were reportedly “always involved”. Cory Monteith’s family is said to have been aware that he reverted back to his hard-partying ways in the North American city, but they were unable to help. His family members reportedly became “alarmed” recently at his behavior and tried to come to his aid, but he grew “distant”. But another website claims Cory Monteith attended a number of Alcoholic Anonymous meetings shortly before he died. A source close to the actor told gossip website RadarOnline.com: “Cory went to AA meetings when he got to Vancouver with some friends of his and mine. They have attended AA meetings in the past together. The insider also insisted that despite being spotted out with friends at the Portside bar in the hours before his death, Cory Monteith was not drinking. Cory Monteith was found dead in his hotel room at the Fairmont Pacific Rim Hotel in Vancouver on Saturday night. With the autopsy into his death now underway the British Columbia Coroners Service says toxicology results will not be known for several more days. However, Sgt. 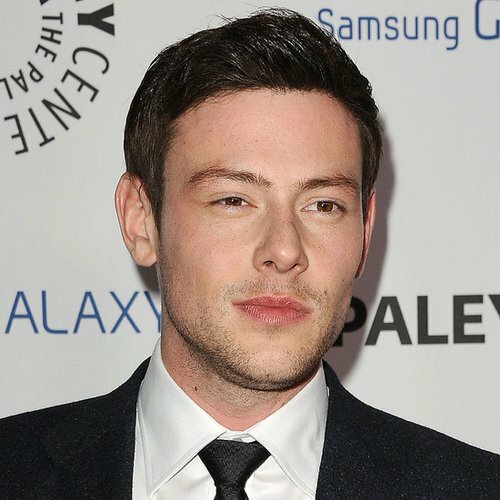 Randy Fincham said there was nothing to indicate Cory Monteith’s death was due to illicit drug use. Meanwhile, FOX officials said it is too soon to say how Cory Monteith’s death will be handled on Glee. According to FOX news, producers are scheduling meetings to discuss how to move forward without his character, Finn Hudson. Industry experts predict Cory Monteith’s death will have a serious effect on the hit show, which was scheduled to start shooting next month.